As many of you readers here on my blog know, I had a MOST POWERFUL near-death experience when I was around 2 years old. I had NO previous knowledge of Jesus prior to that experience. It’s how I came to know Him and what “happened” to him (when he let me view the holes in his hands and by his feet and even allowed me to gingerly poke my finger through one of his hands). It’s also how I came to know that he was ONE powerful being whose voice/laughter/etc. had the ability to shake the Earth & the waters and also how he would one day be in charge of “eternally judging people”, etc. It’s also the first time I heard about “Heaven”, etc. And like a 2-edged spiritual sword, you could see the fear in their SOUL and in their eyes! I then followed it with: “As **religious** as I am, [for nearly all non-believers in my life coin the term “religious” to mean anything from following A religion to having a spiritual relationship with Jesus Christ] do you think I’d be caught dead lying about a powerful, almighty God that has the power to cast MY soul into hell/the lake of fire? Why would I risk my livelihood, and life’s reputation on something that wasn’t true? Furthermore, if you think I’m lying to gain converts for Christ, why would I have to lie to do it? And why would I WANT to lie to do it? What would be the point in MY lying to get Christ converts, with THEM going to heaven and ME going to hell/the lake of fire? There’d BE no point in that, right?” It was then that that non-believing relative was at a mere lost for words……and then tried to go into another spiel about “how could such a *loving* God send people to hell?”, etc. Which goes into my next point. Those that are not in Christ Jesus HATE/ARE INDIFFERENT TO the truth and the truth SEEMS like “hate”/”indifference” to those who HATE/ARE INDIFFERENT TO the truth (which is Jesus Christ Almighty HIMSELF). In John 14:6, Jesus says: “….I am the way, the truth, and the life: no man cometh unto the Father, but by me”. So in other words, Jesus is saying there in that passage that He IS “The Truth”. And so therefore, ANYONE who denies HIM denies THE ETERNAL TRUTH OF GOD! I then got to thinking. What IS the hope for all the non-believers in my life? Is there ANY hope for them to ever find (TRULY FIND) the eternal truth that can ONLY be found in Jesus Christ and Jesus Christ, ALONE? It was then that I REALLY started to cry out to Jesus in prayer for a solution…..
And the Lord had answered my prayer to a T! NOT only was the author a Journalist (just like I asked for in my prayer) but he had ALSO started out as an Atheist (another caveat of my prayer). You can’t make this stuff up, folks!!!! Only, the thing is, this particular book came out YEARS AGO (and I didn’t even know it! haha). Therefore, the Lord Jesus answered my prayer by bringing the book to the forefront! And wouldn’t ya know? I’d been FERVENTLY praying for the past year or so that THAT book would be turned into a MOVIE! And guess what, folks? But one thing is certain. 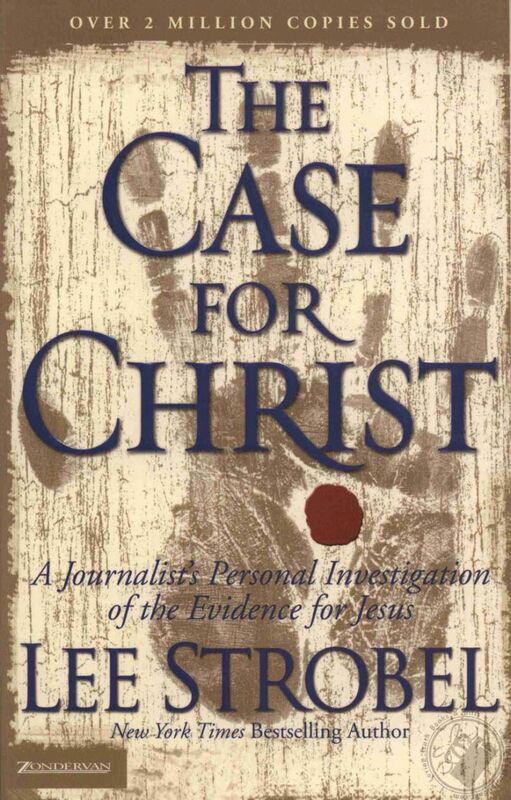 At the end of his historical and journalistic investigation, Mr. Strobel found that, given the OVERWHELMING HISTORICAL AND SPIRITUAL EVIDENCE, IT WOULD TAKE **FAR** MORE FAITH FOR HIM TO REMAIN AN ATHEIST THAN TO BECOME A CHRISTIAN/BELIEVER IN CHRIST! Such a profound statement. I hope and pray that the book, documentary AND big-screen movie will open up MANY hearts and souls to the ETERNAL TRUTH OF SALVATION FOUND **ONLY** IN JESUS CHRIST AND JESUS CHRIST, ALONE! And I praise Jesus HIGHLY for having answered my prayer and hope even still that Jesus Christ will still use many, MANY avenues to still continue capturing hearts, minds and souls in his great, heavenly name! Amen.